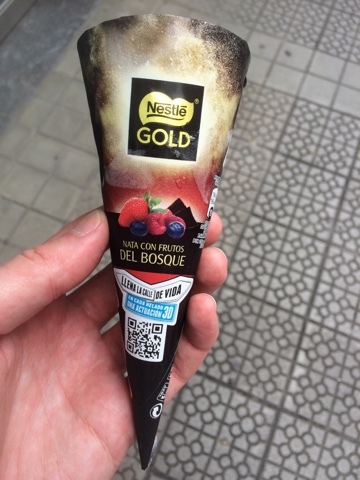 We were in Spain last week, and I spotted that nestle has a range of 2 Euro ice creams that we don't get in the UK. As it was rather hot I decided to give them a whirl. 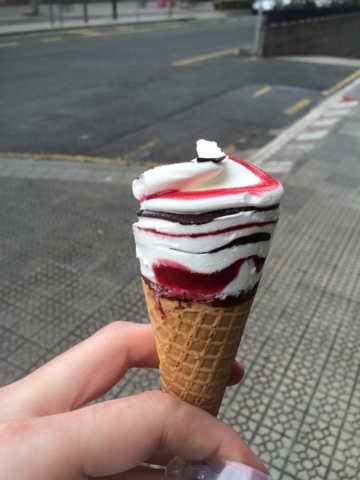 First up we have this immitation Cornetto with both chocolate and fruits of the forest. The jam goes all the way down! Like the older style cornettos the packaging protects the top and you get something that actually looks like the picture. This was a really nice treat and certainly something to seek out. The ridged swirls of chocolate at the top were a highlight. There are other flavours in the range to try too! Also in the range are some immitation Magnums. This one is a white cheesecake and has fruity bits and crispy bits. Possibly not as unique as the first one, but a great flavour and certainly one I'd choose again. Of course - when on holiday the smarter way to pick up ices is to duck into the local supermarket and buy a box of a few for the price of one from a stall. We all wanted different things though so didn't do that this time. 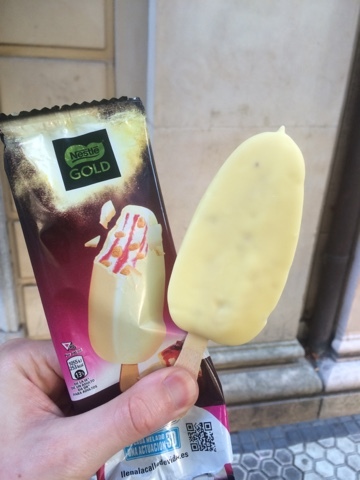 Plus in the 36 degree heat you can't get far with ice creams without them melting! These both look delicious! Much better than a lot of UK nestl ice creams.